As Peary notes, this slapstick comedy may very well be the “definitive Laurel and Hardy film”, given that it “perfectly illustrates how Laurel and Hardy typically relate to each other and to their wives in their movies.” While it’s not my favorite L&H flick (that honor would probably go to Blockheads), it’s full of countless humorous moments: Stan blithely eating wax fruit; Stan and Ollie naively trying to convince their knowing wives that they’ve been in Honolulu; Stan and Ollie attempting to sneak into their own houses. As noted in the New York Times’ original review, Laurel and Hardy are “a Quixote and Panza in a nightmare world, where even the act of opening a door is filled with hideous perils.” This harmless pair of stooges can’t seem to help landing in a heap of trouble — and it’s great fun watching them struggle to climb back out. Yes. 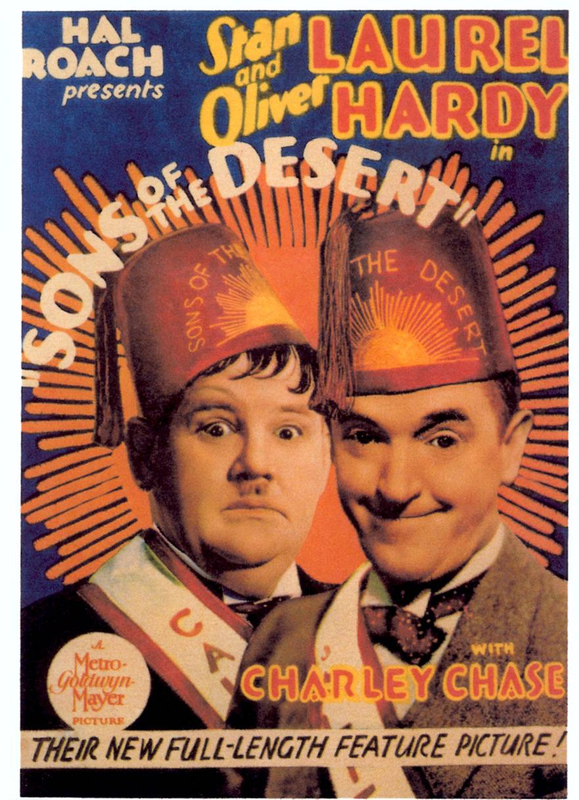 Along with Way Out West (1936) and Blockheads (1938), this is a must-see Laurel and Hardy flick. Discussed at length in Peary’s Cult Movies 3 (1988). Not wholeheartedly so, but a must. There’s enough to recommend it as such, even if it isn’t as successful as one (i.e., I) would like. The overall structure of the script is fairly strong – and it boasts a handful of particularly successful sequences. I suppose my fave comes when Hardy feigns sickness in order to get his way and go to the convention with Laurel. 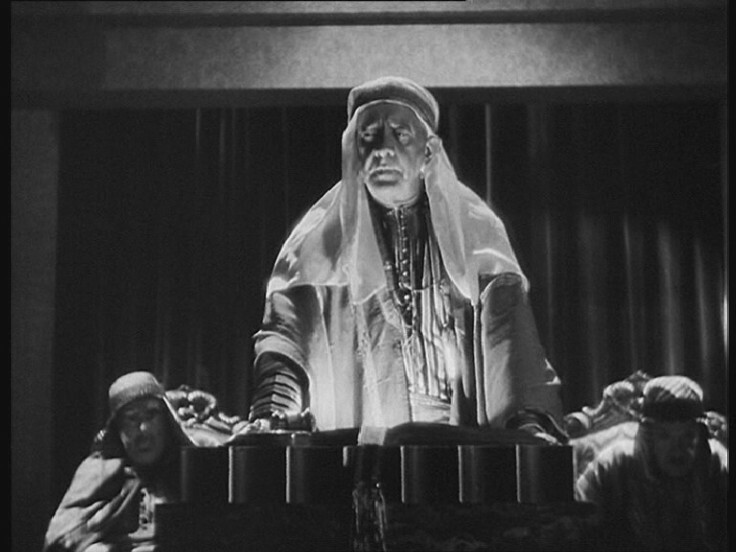 But a few other lengthy bits are memorable as well – i.e., in Chicago, Hardy is handed a telephone receiver to talk to someone and doesn’t realize he’s talking to his own wife; the wives of L&H discover the truth about their husbands when they see a newsreel at the movies (L&H are, to me, at their best in this throwaway bit). Fave visual: Hardy has just told Laurel he has to start wearing the pants in the family, then the scene switches to a shot of the nameplate in front of Laurel’s house, which reads “Mrs. & Mr. Stanley Laurel”. FFs should, of course, know of L&H somehow. I’m still waiting to see if there’s something they did that I can recommend without reservation. But, overall, this is pleasant enough.